NTLL is fortunate to have a partnership with both Christ the King Lutheran Church and Hamilton Adult School, both of which allow our fans to park at their facilities. Unless otherwise indicated on the NTLL website*, please follow the general parking guidelines below when determining which parking lot to use. * The NTLL website will list special NO PARKING days. 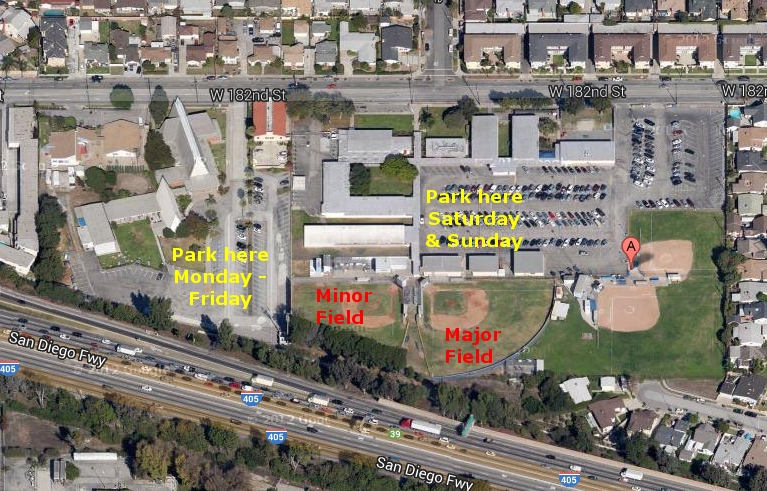 Note: NTLL will only open the gates that face the appropriate parking lot for that day's parking.